This Namibia image has a subtle composition. The eye naturally starts reading images at the left. The tree branch at left leads it toward the main tree stem at the bottom from where another dominant branch leads the eye towards top right. 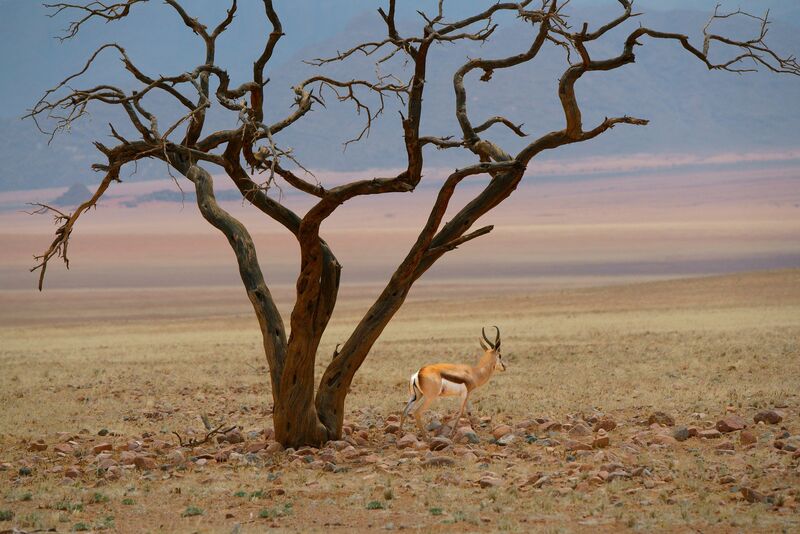 The Springbok’s line of sight is in that same direction and its body language suggests that’s where it wants to go. Had the Springbok been facing the camera, the composition would not have been as pleasing. Sony ILCE-7RM2, ISO 1000, 1/3200th sec. Lens: FE 100-400 f4.5-5.6 GM OSS at f/10 and at 306 mm. Handheld.